1. Merry & Bright Print - SS Print Shop. Too early to decorate for Christmas? Maybe, maybe not. Either way I am in love with prints right now and this is probably one of the best Christmas ones I've seen (and believe me I've browsed Etsy for hours). 2. Double-Cloth Patch-Pocket Cocoon Coat - J.Crew. I have absolutely no use for this coat in LA because it simply doesn't get cold enough. But I dream of taking a vacation to a winter wonderland and this would be the perfect travel accessory. 3. Shift Dress Bright Animal Print - ASOS. This dress is stunning but would seriously get in the way of my all neutral and black wardrobe. 4. 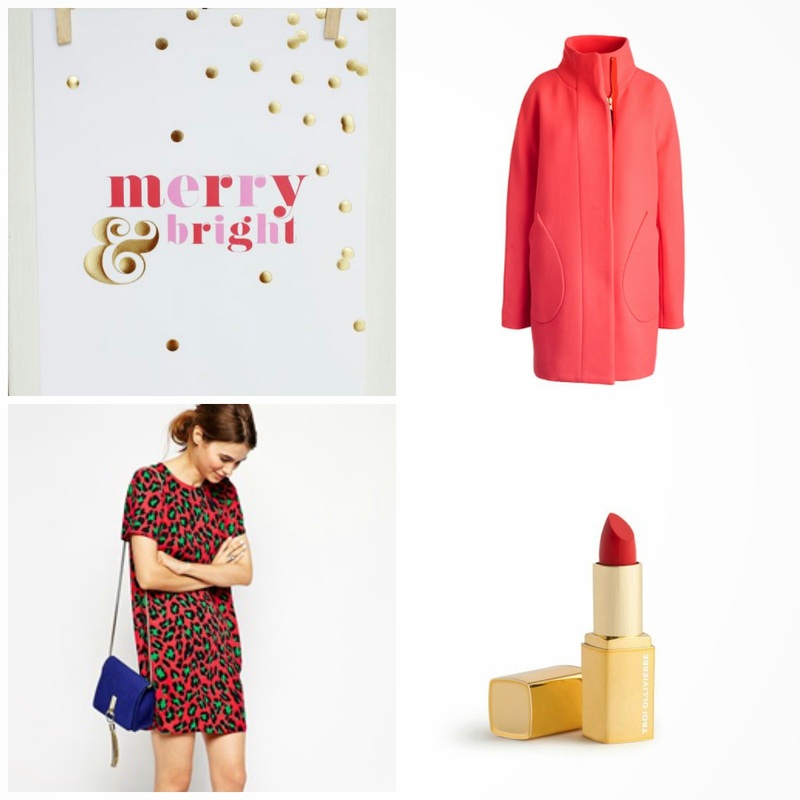 Parker Lipstick - Troi Ollivierre/J.Crew. Read the WhoWhatWear post, added this to my must buy list.